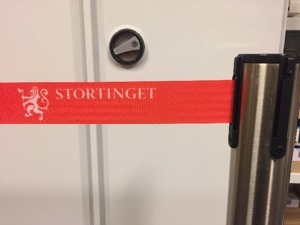 Proud supplier to the Norwegian government. 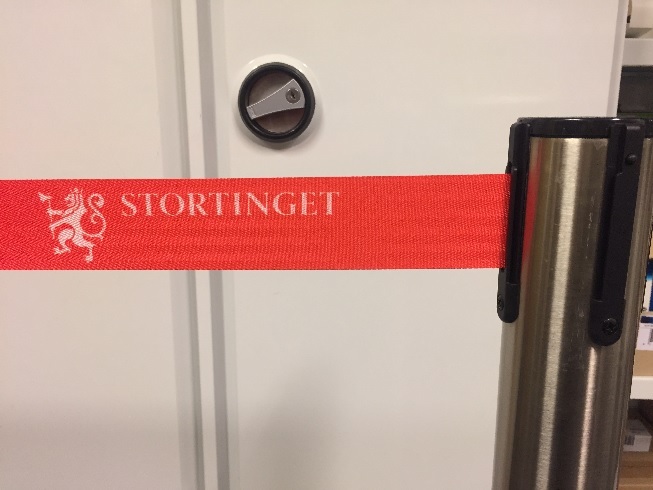 Over the last 5 years, Adecon has delivered posts and information displays to the Norwegian Government “Stortinget” in Oslo. Recently, an upgrade was delivered because of changing of the Governments logotype. It feels very nice to have important customers in Norway and our brand will be exposed to all VIP:s visiting the Government, "says Ernst-Olof Persson, CEO of Adecon Systems AB, representing the manufacturer FLEX in Scandinavia. 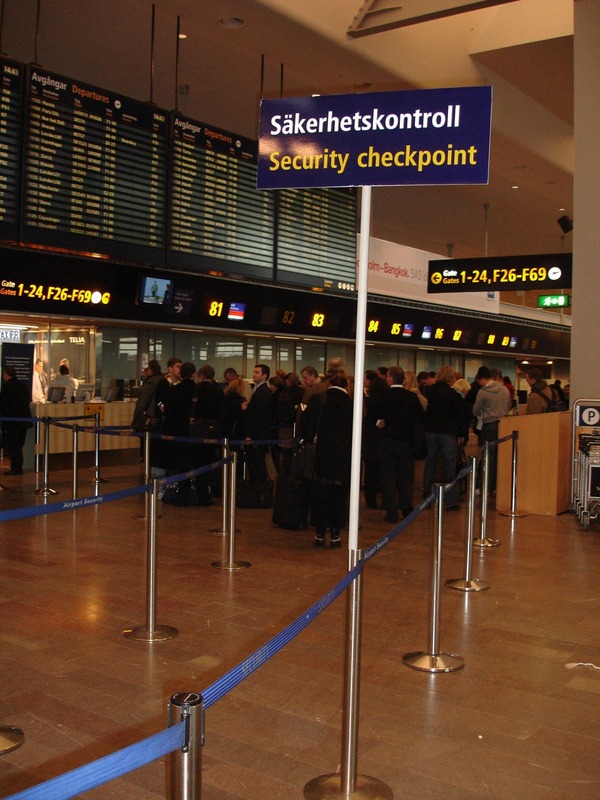 Adecon Systems won Swedavia tender of barriers and poles to all airports Swedavia. 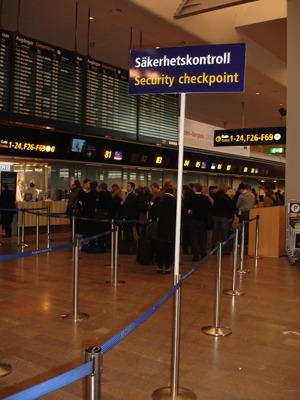 Over the last 20 years, Adecon Systems has been one of several suppliers to Swedavia's airports regarding barriers and poles. Last year, Swedavia decision to organize a tender in order that all airports should have a uniform structure and design that meet Swedavia's demands for quality and reliability. The contract was concluded in the beginning of August, and the winning bid went to Adecon Systems that represents the manufacturer in Italy, FLEX Srl, in Sweden. The contract runs for 5 years with the possibility of extension. The total estimated order value is about SEK 13 million. "It feels fantastic to have won the tender. Price negotiation was tough but we won out, "said Ernst-Olof Persson, CEO of Adecon Systems. "We now look forward to a uniform structure at our airports and where poles and que information systems is a central role in the check-in and security check. Historically, we have very good experiences out of the product range from FLEX, so we have made a good choice of supplier, "says Alberto Clandestino, purchasing manager at Swedavia. The well known posts for crowd control at airports have often to be moved in the course of floor surfaces shall be made available for cleaning etc. The traditional transportation means offered is unfortunately a heavy, expensive and not good in ergonomics for those who must lift and stow the posts. In co-operation with the Swedish Civil Aviation at Stockholm-Arlanda Airport, Adecon has developed a convenient trolley with ergonomics in mind. It is relatively inexpensive to purchase, take up little space and takes a total of 10 posts at a time during transport. 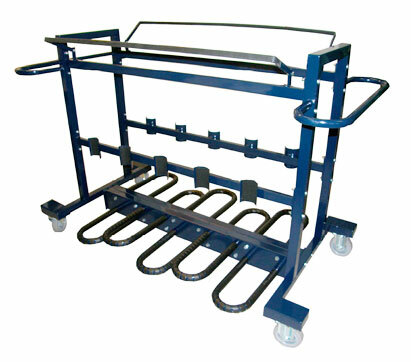 For further information on the transport trolley, APC-10, do not hesitate to contact us.